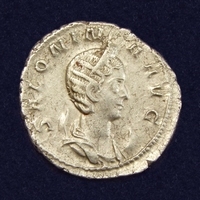 Obverse: Diademed, draped bust of Octacilia right. Legend: MARCIA OTACIL SEVERA AVG. 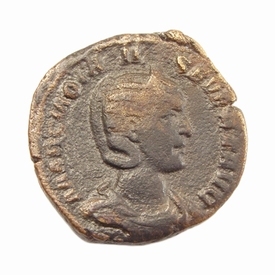 Reverse: Pudicitia holding sceptre seated left, hand raised to pull veil from face. SC in ex. Marcia Otacilia Severa, Empress of Rome and wife of Emperor Philip the Arab who reigned from 244 to 249 AD. 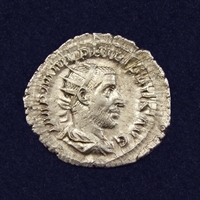 Severa and Philip have the reputation of being more sympathetic to the Christian faith and are often referred to as the first Christian Imperial couple. 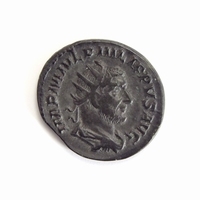 Various rebellions and invasions troubled Philip's reign and he resorted to debase the antoninianus. 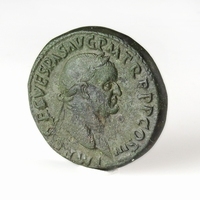 In August 249, Philip was overthrown and killed in a rebellion, led by his successor Decius. Severa received the news of his death in Rome. 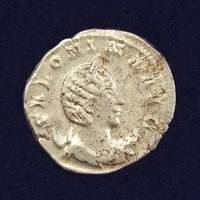 The Praetorian Guard murdered their son, but Severa survived and lived in relative obscurity. 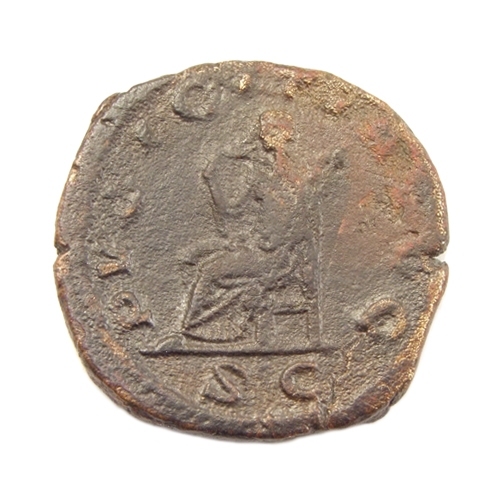 The reverse of the sestertius shows Pudicitia, the personification of chaste modesty, thus being considered very suitable for an Empress.